The rise of China is commanding much thought across the Asia-Pacific region. 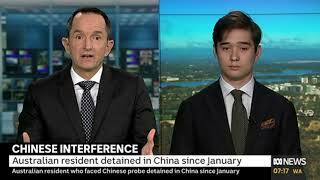 While we shouldn’t rush to assume Beijing will be ‘inevitably hostile to Australia’, a more assertive China with rapidly growing military strength means a direct threat to Australian interests could develop with little notice. The key problem is that most of Canberra wants to avoid a difficult conversation about China, presumably in the hope that Australia will keep getting rich if we just pretend that nothing has changed. The endlessly repeated talking point is that Beijing must cleave to the ‘international rule of law’, but as China’s building of air bases in the South China Sea shows, this hope is a dead parrot if ever there was one. The rules based global order is hanging on the rather fragile assumption that the US will still foot the bill for global security. Does anyone see a flaw in this strategy?